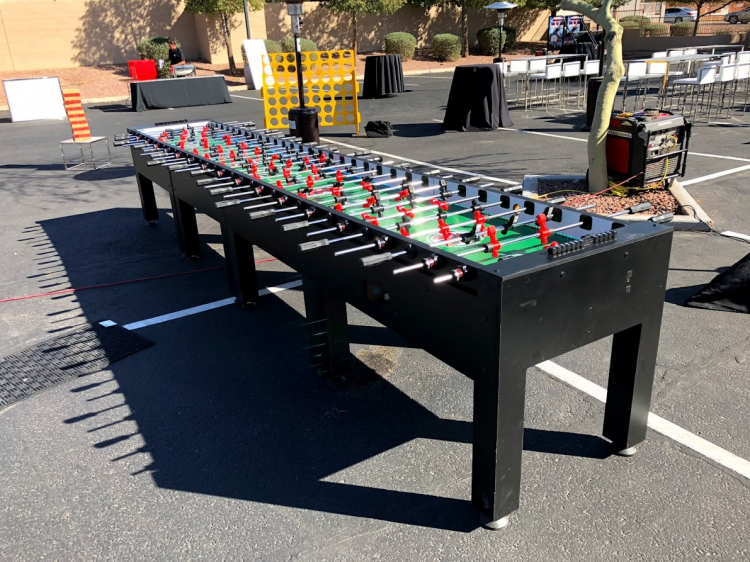 XL Giant Foosball Table Rentals | EpicPartyTeam.com Phoenix AZ. It’s classic foosball just SUPERSIZED! Our giant foosball really dominates the rest! This is the BIGGEST foosball table in Arizona! 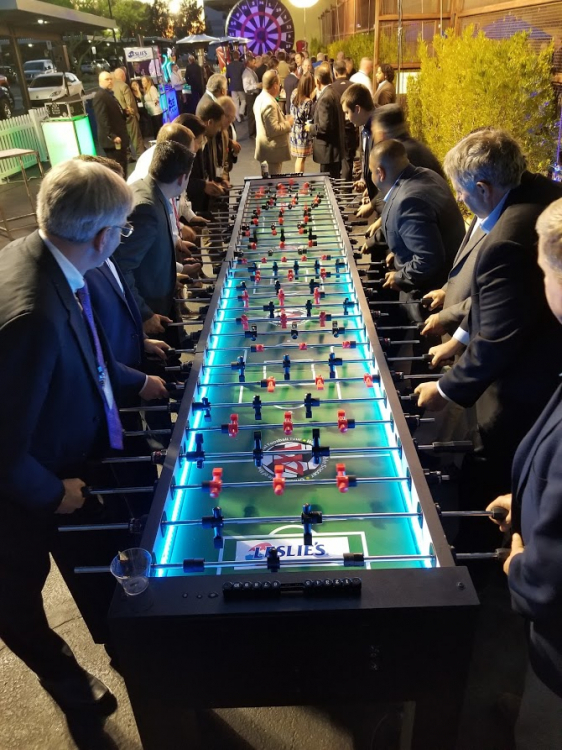 Our biggest foosball table measures 16ft long and can even go longer if you request! 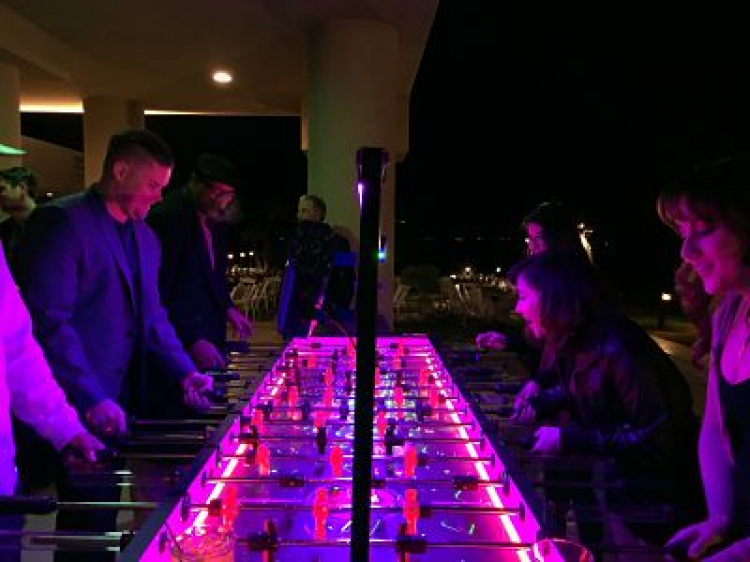 The giant foosball table lights up in any color, can be customized, and provides hours and hours of great classic fun! Don’t settle for a normal foosball table, rent a giant foosball table!